Inventory is down & sale prices of single family homes are up! The City of Newburgh, NY housing market is making great progress! 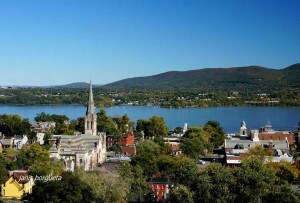 A promising real estate outlook is on the horizon for Newburgh, NY this spring. The sale of single family homes is on the rise. There are major changes happening in the housing market in the City of Newburgh with both single and multifamily home sales. This trend has increased over the last twelve months as investors are spending more time and money in the area. Not only are investors taking this plunge into the area, we are seeing many new transplants moving in and calling Newburgh home. Abandoned homes are still part of the landscape in Newburgh. Many years of neglect left homes in disrepair, creating problems for the city. As those properties are finding owners and solutions, the neighborhoods are sprouting some amazing changes. Short sales and foreclosures are fewer and there is even a new construction subdivision near I 84. Believe it or not the demand for owning a home has created this demand. Affordable housing is always welcome in the area. Close proximity to the highway and transportation are a plus for first time home buyers. Not everything in the city is part of the historic district, and contributes to the charm and diverse style of available housing. Average sales price was $135,914 up +32.6% from last year. Homes on average remained approximately 104 days on the market. 5 Homes sold over $350K in the last twelve months. 8 Additional homes sold not listed in the MLS. The absorption rate is now at 5.1 months of inventory which is falling from last years 7.7 months of inventory. 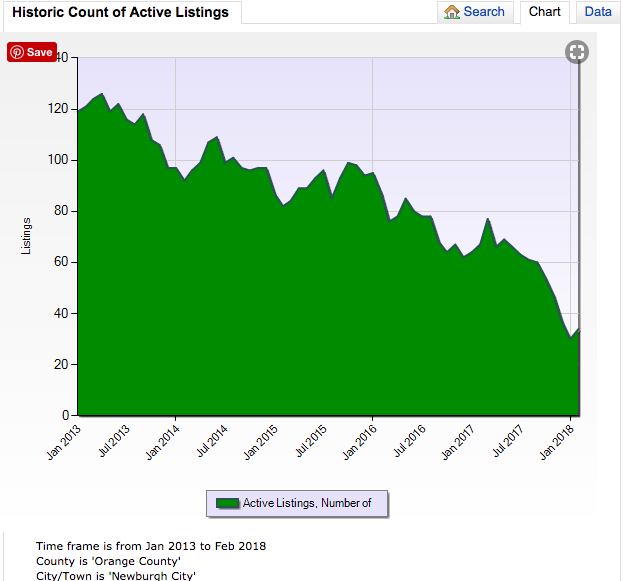 All of Orange County is seeing limited inventory of homes. Newburgh is no exception. Buyers need to be ready, willing and able to pounce on a new listing to find something that works for them. Days on market does vary a bit. Accepted offers come in within days and a buyer can easily be turned down for a showing, prior to the home actually going to contract. A properly price home in great condition will have multiple offers. Interest rates have begun to rise and with more increases predicted this year buyers are looking to find a home before it’s too late. The reduced inventory of homes for sale requires a good deal of dedication from buyers to find a home. Increased amounts of time and effort to search the internet is required. Let us streamline a search for you that works best. Individual search criteria will steam line your search to what you want. Let’s talk so we can see what works best for you. Knowledge of the area and current values are an asset to anyone looking to buy or sell a home. I’m here to help. Looking to sell your home today? Let’s talk today. Buyers are looking and with inventory low, selling now is great timing. You need information on what homes are selling in the area and current pricing. Active MLS Listings include, single family homes, multi- family homes, condos, and co-ops. I can help you streamline a search specific to your taste, budget and location. Home searching is made easy by County, City or Town, School districts, Style, Age and price point to name a few. I am your local Orange County, NY real estate agent that is ready to guide you every step of the way. 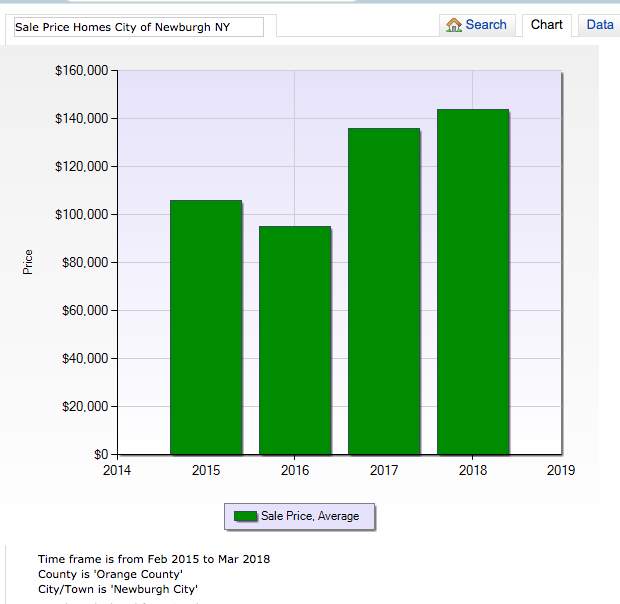 What Homes Sold in Newburgh, NY 2018?